Voted “The Greatest DJ Of All Time” by Mixmag and the “#1” DJ by Rolling Stone, Tiësto was one of the first dance music artists to break through into popular culture having performed at the 2004 Athens Olympic Games while also having a statue at the famed Madame Tussauds created in his honour. He’s also the only dance music artist to have their own channel on Sirius XM; putting Tiësto in the company of Elvis Presley, Bruce Springsteen, Pearl Jam, The Grateful Dead and Eminem. Despite a career filled with so many achievements, there’s one award that had proven elusive for Tiësto. He was first nominated for a Grammy Award in 2007 for his album ‘Elements Of Life’ in the "Best Electronic/Dance Album” category but did not take home the prize. 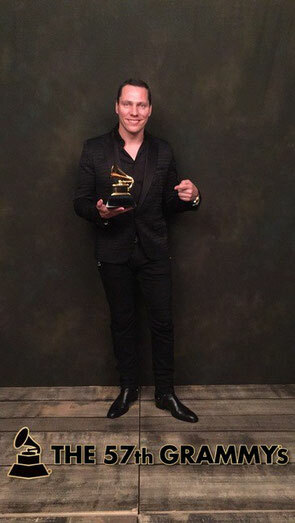 Now, nearly ten years since his first Grammy nomination Tiësto recently brought home the music industry’s top award for his remix of John Legend’s ‘All Of Me’.